There are very few businesses today where computers have not proven their supremacy. From small businesses to large corporations, from a small offices to government buildings, literally everywhere computers are used and most likely dependent on them. In many cases when a computer is not working, the complete work line gets disrupted and many activities completely stop or are delayed. A number of tasks can be achieved by a computer instantly which may not be possible for even a group of people to carry out. As each computer is used in a different way for a different purpose, they require a few changes in the system to perform in a better way. There are many professionals who need special programs and software to carry out their specific jobs. Hence an ordinary computers with common specifications are not much use to them. A laptop is the most common form of a computer used in business and a custom laptop can be of great help to professionals such as engineers, architectures, designers, builder, etc. There are professionals in the market as well as companies who can provide a customised laptops to a customer. High quality processor: The processor is the heart of any system. All the functions and their speed depend on the speed of the processor. Different sorts of processes happen through a processor only. There are different categories and qualities of processors. Obviously the higher quality processor can provide faster results for different activities. Hence, if one is engaged in such business activity wherein the speed of the process matters much, than it is quite obvious that one needs to go for a high quality processor. In case one goes for a customized laptop than the processor can change the complete configuration and performance of the system. High quality graphic card: The graphic card has its own importance in the world of the computer. Better the quality of the graphic card leads to better picture and video view. Hence, in case of a person who needs a higher version of a desktop for an ultimate gaming experience, he needs to have a higher quality graphic card installed in the system. It just gives an amazing experience about working on such a laptop with high quality graphic card. High quality picture resolution: The picture resolution is the center of the activities on any computer. Better the picture quality, better the work as well as game experience. To have a high quality picture resolution one needs to have bigger screen with high definition clarity. It just makes one feel like the incident is happening just in front of his eyes. There are end numbers of options for different screens and one can make a quality choice as per own requirement. High quality sound: In the sound quality also there are multiple choices available and one can make the choice as per his activities and requirements. One can go for surround sound quality or boost quality that can provide a roaring sound while gaming is on. Not only that, it also provides better quality for chat, business conference, movie and songs where the sound quality is very much important. Higher RAM: Higher the RAM, the higher the performance is the simple fundament of the world of computers. In case of a version with low RAM the system can frequently get hung which makes an irritating experience from the system. In case it hangs in the mid of some important task one may have to do the work again also. To avoid such hassles, it is better to work on a laptop with a higher RAM. In case of a customized laptop, the higher RAM can make one feel work just like a game and the speed of the system can help to work more effectively than before. Light weight: The best part of modern technology is the function of the tools have improved, but the weight of the devices have reduced. A light weight laptop can be easily carried to different places in no time and can help the assignment finish in few minutes. 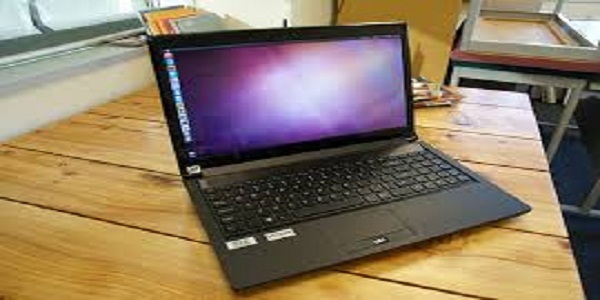 However, one has to focus on the overall quality of other parts of the laptop also as to make it light weight the quality of the customized laptop need not be compromised. In modern days different devices are available in lesser weight and enhanced efficiency, which can be perfectly combined to create a laptop with lesser weight. Higher memory: The memory of the laptop is the most vital part. A novice in the world of computer also focuses on the memory size of the laptop. However, in case of a customized laptop memory can be installed at the best possible size keeping in mind the purpose of the laptop and activities to be done on the same. There is also an option of external memory which can be used prudently if one does not want to block the system memory. Increase in memory size is directly in proportion to increase in price of the laptop. Hence, higher the memory higher the cost of customized laptop can be the formuale in this case. Any professional focuses on these factors while creating a tailored laptop. There are famous brands such as chillblast that help build a laptop according to one’s own requirements. There used to be very few people who use customised laptop, however, that trend is changing now and more professionals prefer to use these devices to improve their efficiency and work quality.